The American Academy of Pediatrics’ new screen time guidelines. The American Academy of Pediatrics updates its guidelines for young kids—finally. 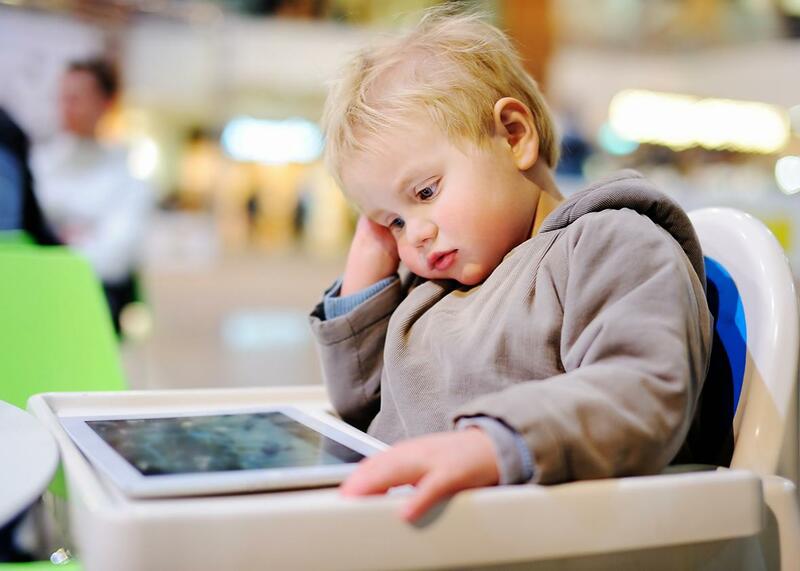 On Friday morning, the American Academy of Pediatrics shifted its stance on what is commonly known as “screen time,” abandoning its controversial recommendation to keep children under age 2 away from screen media. Instead, it now provides mostly evidence-based guidance on how to use technology responsibly with kids of all ages. For researchers who have lobbied the AAP for years to change its rules in response to new studies on children and media, there is one word: Finally. The policy statements released Friday represent a pivotal moment for anyone who is raising or working with kids. For years, the AAP has been publishing statements on kids and screens in the journal Pediatrics after long periods of vetting and review. Many child-health advocates regard each new installment as the gospel of guidance on using media with children. And for years, those statements have emphasized the negative aspects of screen media and counseled against “exposing” children to it, often relying on older studies on how much time kids spend watching TV. Yet over the past decade, an increasing number of researchers, many educators, and not surprisingly, children’s media developers have pointed to a growing pile of studies that show how children, even at very young ages, can benefit from using media when it catalyzes conversation and is designed for learning. Even pediatricians started calling on the AAP to overturn what felt like arbitrary and unrealistic limits that did not reflect the current science. The new policy statement on children ages zero to 5 takes into account much of that new research. Instead of recommending outright bans on screens, it directs doctors to ask parents about “family media use,” to help families develop plans for using media with different guidelines for each child, and to educate parents on the importance of “hands-on, unstructured, and social play.” It allows for video chatting no matter what a child’s age, citing new studies on how the use of FaceTime and Skype with distant relatives can benefit children. It advises parents of children 18 to 24 months old “who want to introduce digital media” that they should choose high-quality programming and apps to watch and play with alongside their young children. For infants, toddlers, and preschoolers, it recommends “no screens during meals and for 1 hour before bedtime,” providing specific guidance related to daily routines that are likely to be easier for parents to enact than trying to keep children from screens entirely. It also emphasizes critical thinking about content and the importance of shared media moments, encouraging families to “test apps before the child uses them, play together, and ask the child what he or she thinks about the app.” I’ve long been chanting the Three C’s when choosing children’s media—pay attention to the content, context, and child—so it is heartening to see this acknowledgment that digital-age media management is about more than time with devices. The AAP does revert to that simplistic construction, however, when it guides families with children 2 to 5 years to “limit screen use to 1 hour per day of high-quality programming” each day. Chip Donohue, the director of the Technology in Early Childhood Center at Erikson Institute, a Chicago-based graduate school for early educators, predicts this will sow confusion. A recent study showed that two hours per day is about average for American preschoolers—though in that study, as in so many others, there is no analysis of the different types of content those children might be watching, let alone whether they are watching with family members or peers. “This will trip us up,” Donohue said. It is not hard to imagine scenarios, for example, in which a 4-year-old might use a screen during preschool to watch a clip from Sid the Science Kid as part of a science lesson and later view video from a field trip. Then in the afternoon, after playing outside, he may come indoors with his friends to play a shared doodling app, and after dinner watch a favorite educational show with dad and a sibling. Those interactions would likely go over the one-hour-per-day limit. And yet is there any evidence that they are actually harming the kid? The AAP will clearly have to clarify that in future communications. The AAP’s power to shape the conversation on kids and new media dates back to the late 1990s and early 2000s, when DVD products such as Baby Einstein were a staple of baby showers. In 1999, the organization published a statement saying that children under the age of 2 should not be put in front of TV or videos. In a 2001 statement about older children, it set time limits of one to two hours, focused on the impact of violent media, and made little to no reference of what children might learn from shows like Sesame Street. That, plus a flood of new preschool TV shows and the parental control offered by on-demand television, brought a decade of unrest among parents and educators. (It was during this time that my children were very young and after digging into the research that countered some of the AAP’s guidance, I decided to write a book on the topic, Screen Time.) In 2011, the academy released an update that reinforced “no screens under 2” and continued to emphasize the harms of screen media. The AAP has also created an online tool for parents—an interactive guide to building a family media plan—to help families pick and choose different approaches to media management and customizes their household’s rules according to the needs of their individual children. These attempts to help families think more strategically about what they want for their children are long overdue. Going beyond time limits is not an invitation for a complete free-for-all, nor an abdication of responsibility on the part of parents and others who raise children. Nothing in the AAP’s guidance or the federal government’s report says, “Just hand your kid an iPad.” Instead, they ask parents and educators to step into their role as mentors and guides. “We don’t want to feed into the cult of intensive parenting,” said Radesky, who has two kids herself, ages 3 and 7. “But we do want them to be aware and involved.” In short: Don’t start watching the clock as soon as your kid starts playing games. Instead, watch—and interact with—her.